News Americas, QUITO, Ecuador, Fri. Aug. 17, 2018: At least 24 people were killed and 22 others injured when a long-distance bus crashed with a smaller vehicle on a highway and overturned near Ecuador’s capital Quito in the early morning hours on Tuesday, local media reported. The accident occurred on a winding section of the Pifo-Papallacta Highway at about 03:00, according to local media. The bodies of 10 victims have been identified, including six Colombians, two Venezuelans and two Ecuadorians. 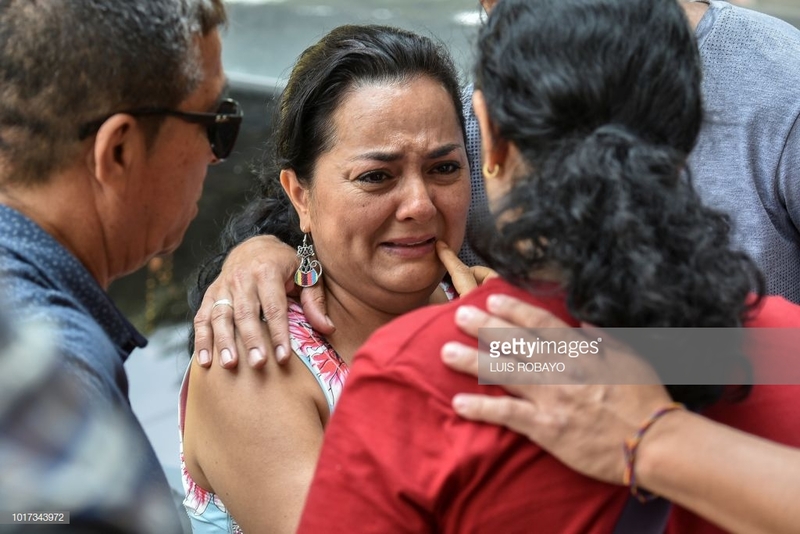 As for the identification of the other victims, head of Pichincha province’s forensic medicine department Kleber Viteri said they have established technical teams to handle it. “We have received bodies without any kind of identification, otherwise we could give a preliminary identification,” said Viteri. According to Viteri, 14 women, seven men and two minors were killed in the crash, including a 15-year-old male teenager and a one-year-old boy. “Yes, poor child. He would have turned 16 years old in September. It is really a pity. That’s life,” said Angel Guerra, a family member of the teenager.